Gas prices continue to jump in the Carolinas and across the nation, to surpass the averages from a year ago at this time. There are a lot of young people with new ideas, enthusiasm and passion, but without the financial means to change their dreams into reality. 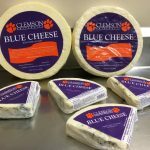 Clemson University’s blue cheese has made its mark in the cheesiest state of them all. 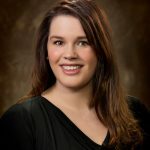 Lauren Stanton (’09, ’13) has been named executive director of Francis Marion University’s Education Foundation. Governor Henry McMaster today nominated Michael Leach to be the next director of the South Carolina Department of Social Services (SCDSS). Francis Marion University’s Arts International Festival, the Pee Dee’s annual celebration of arts and culture, returns to the FMU campus on Saturday, April 13. Gas prices have gone up another nickel on the week across the Carolinas and most motorists are paying more at the pump than they were this time last year. Clemson researchers report South Carolina peaches appear to have survived the recent cold snap, but growers shouldn’t let down their guard just yet. Once again, the Palmetto SC Region of the American Red Cross has stepped in to help its neighbors throughout the country. 10 Red Cross volunteers have deployed to various disasters. The sound of sniffles and the yellow tint on cars and buildings seen through watery eyes tells us spring is upon us. 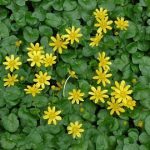 Trees and plants are blooming, including the Ficaria verna, commonly known as Fig buttercup, which is invasive.